Tehanita Baretto is one of 235 small miners who will benefit from mining lands approved under the Closed Area Committee (CAC) of the Ministry of Natural Resources. Baretto, 43, who mines in the Marudi Mountain area, Region Nine, told the Government Information Agency (GINA) in a recent interview that receiving a plot of land means she is no longer classified as an illegal miner. “We were doing illegal mining all the time because this was the biggest problem in Marudi… there were no lots lotted out to us during the previous government. Only this government has been looking at us small miners so now we’re able to get our own blocks that we’ll be going into now,” Baretto told GINA. Shortly after, the woman and her husband decided to mine on their own. “We put our money together, and we had bought our first dredge which was a small engine and then after we started to be successful a little bit we bought a bigger engine. So now we are doing the crushing of the hard rocks there at the Marudi Mountain,” Baretto explained. The woman said she decided to take up mining to support her five children through their school life. “My son is finished now; he has been going to the President’s College in Georgetown and because I have been helping him financially he has been successful at his CXC examination and now he’s at University and I continue to help him through the mining we are doing right now,” Baretto proudly pointed out. Now that she has her own mining land to work, Baretto told GINA she hopes to be able to branch out from just mining. “Now that I have gotten my piece of block I have been thinking if I don’t find gold there I can go into farming and I think farming has a lot of income also. If it doesn’t help with the money you get some food from your own farm that you planted especially if it’s organic, you’re going to eat healthy food. I don’t see mining as a long- term work for me,” Baretto said. 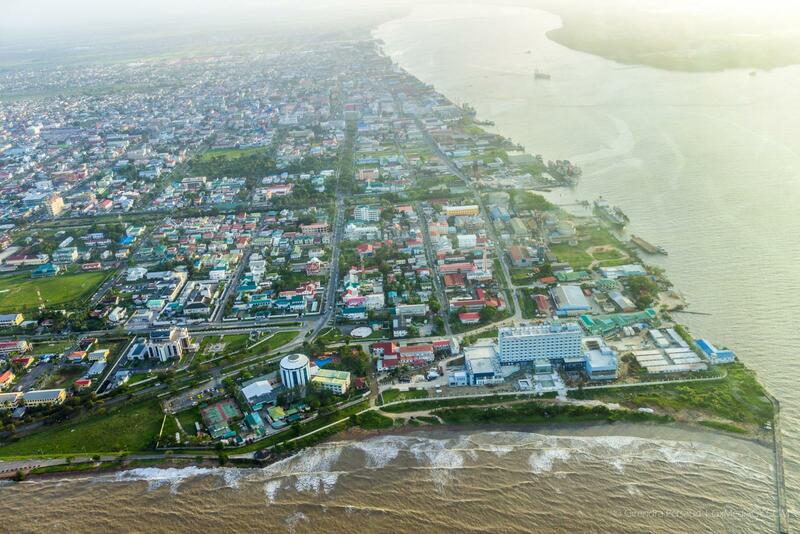 Minister of Natural Resources Raphael Trotman had indicated that making mining land available is part of fulfilling government’s commitment to miners. 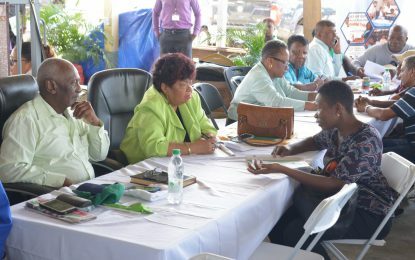 “It is government’s intention to ensure that everyone who wants the opportunity to mine can do so of course with the condition that you do so in a responsible and friendly manner to the environment and the communities in which you live,” Minister Trotman told miners from the Rupununi district when he met with them earlier this month. The Closed Area Committee was established earlier this year to ensure that small and medium-scale miners benefit from higher yielding lands.